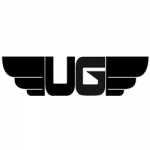 Ultra Genetics is a British born company with a great passion for their work and a goal that is to produce high quality seeds for the international medicinal community. UG produce their seeds under legal conditions outside of the UK from genetics they have collected or been gifted over the years from close friends in the industry and they will never release anything unless its been properly tested. One of their many company aim\'s is to help give medicinal marijuana a bright successful future.